Whether you’re a first-time buyer, an experienced home buyer who’s refinancing, or someone who’s growing their family and buying a large home to accommodate it, buying a home is an exciting experience. Working with top mortgage lenders to purchase or refinance a home can also be intimidating and challenging to navigate, which is why it’s important to have the right people on your team. This makes it essential to choose people who will be on your side and work as your advocate, such as a real estate agent. This also highlights the importance of choosing among the banks with the best mortgage rates to find the best bank for a mortgage loan. Working with one of the best mortgage banks on the lending process can have a big impact on everything from how long it takes to obtain financing and close on your home to the interest rates you get. It’s important when choosing the best bank to get a mortgage from that you think about overall reputation, transparency in terms of fees and the process, and how comfortable you are working with that particular institution. Also important to consider is how accessible your loan officer is, from start-to-finish during the process. All of these considerations, along with quite a few others, were integrated into this ranking of the best banks to get a mortgage from. This ranking includes the best banks for first-time home buyers, as well as the best banks to refinance with, covering all areas of home buying. If you’re in the initial stages of obtaining a mortgage, along with finding the best bank for a home loan, it’s important that you go into the process fully prepared. Identifying and working with the best banks for mortgages is an in-depth lending process, and it requires borrowers to present quite a bit of financial information. The first thing you should do after choosing the best bank for a mortgage is to meet with a loan officer. This person can help you identify all of the documents and information you’ll need, and also work with you if you have potential credit problems that could be an obstacle to obtaining financing. This initial meeting with a loan officer is also when you’ll start looking at how much home you’ll be able to afford, which is important to know before starting the search for a property, and also getting information on mortgage rates. As part of this process, you’ll want to make sure that you consider banks that are offering the best mortgage rates. Once you’ve come to this point, you can then start working to make sure your credit is strong. This is the time you’ll check your credit report for any errors, work on correcting them, and also try to eliminate as much debt as you can. The higher your credit score, the more you’ll be able to borrow; plus, you’re more likely to get a lower interest rate. The top rated best mortgage banks want to see that you have good credit habits in terms of paying your existing debts, in addition to other factors. Also, if you have any outstanding loans, and in particular student loans, you may want to consolidate or refinance them before trying to get financing for a new home. One big mistake many first-time home buyers make is not realizing that they can shop around for a mortgage and the best bank to get a mortgage from, which can help them get a better deal. Inexperienced buyers may think all mortgage banks are the same, which can end up costing them a lot of unnecessary money in the long-run. It is very important for first-time home buyers to focus on the best banks for first-time home buyers and also on the banks with best mortgage rates. 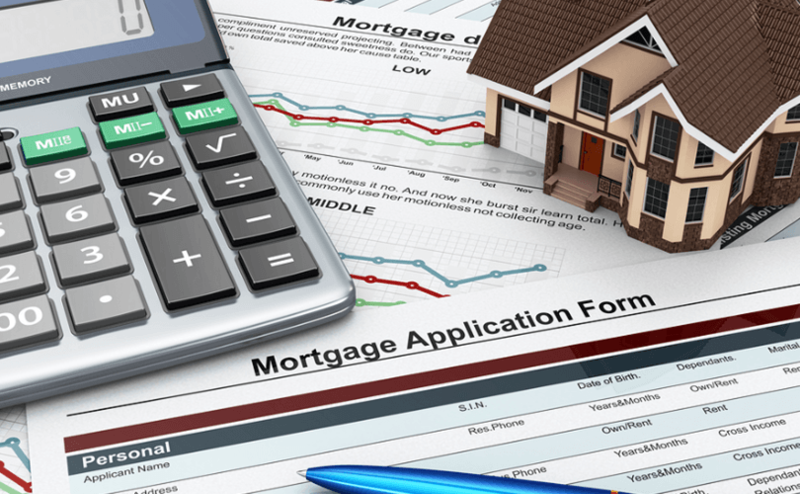 Below, please find a detailed review of each bank on our list of top mortgage banks. 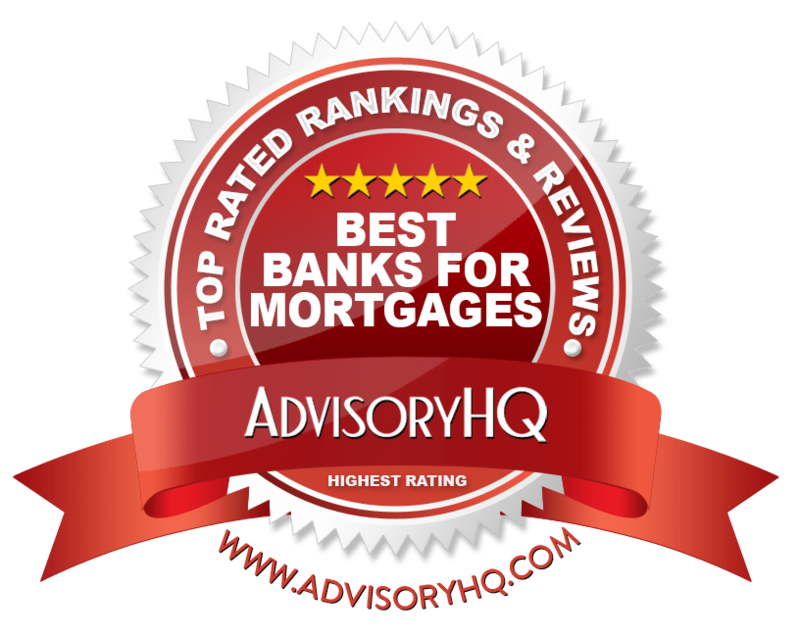 We have highlighted some of the factors that allowed these best banks for mortgages to score so high in our selection ranking. Bank of America is one of the most visible and well-known financial institutions in the world, and along with consumer and business banking, credit cards, loans, and investments, they also offer mortgages. This global financial institution has a history of more than 200 years and has been a vital part of the pivotal events and eras that have shaped the country. It is also a top rated best bank for home loans. Today, Bank of America has 47 million customers, 4,700 retail financial centers, and an extensive suite of online and mobile banking product and services. Headquartered in Charlotte, North Carolina, Bank of America is led by CEO Brian T. Moynihan. Primary reasons Bank of America was included on this list of the best banks to get a mortgage from are detailed below. Bank of America features a Preferred Rewards program that offers benefits for customers on their everyday banking and investment accounts. 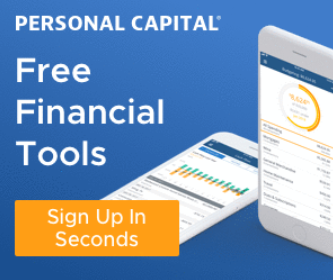 Three tiers make up Preferred Rewards, and the level a customer qualifies for is based on the three-month average combined balances in Bank of America banking and/or Merrill Lynch investment accounts. The result of being part of this program is not only credit card bonuses, and interest rate boosters on Money Market savings, but it also includes reduced mortgage origination fees. For example, for Gold members, there is a $200 reduction in mortgage origination fees on a new Bank of America home purchase or a refinance loan. For Platinum members, this discount goes up to $400, and for Platinum Honors members it’s a $600 mortgage origination fee reduction. Bank of America is often considered not just an overall best bank to get a mortgage from, but also one of the best banks for first-time home buyers. One of the ways they are valuable for new buyers is through their Affordable Housing Assistance programs. Home Equity Assistance: With this service, homeowners can qualify for a modification of their term, interest rate, or monthly payments during a financial hardship. Homebuyer Education: Home buyer education programs are designed to help buyers understand the complete process, as well as the requirements they’ll face once they’ve purchased a home. Affordable Loan Solution Mortgage: A fixed-rate loan for low- and moderate-income borrowers, this Bank of America product features competitive rates, and low down payments. As one of the world’s largest financial institutions, and a top six best bank for home loans, Bank of America also has a reputation for being one of the most technologically advanced. The company has really been a pioneer in terms of mobile and online banking, and that has extended to their home loans department as well. The Home Loan Navigator is one of the many reasons this is a pick for a best bank to get a home loan with; it’s simple and convenient. With the Home Loan Navigator, borrowers don’t have to wonder where they’re at in the process, or what’s going on with their loan. They can simply log in and see any pertinent updates and stay on-track with the status of their application. The Home Loan Navigator features a To-Do list so applicants can see what needs to be done on their end, they can manage their documents and sign them electronically, and they will also receive disclosures online. Government loan options can be very appealing for some homeowners, so offering these can be a key consideration when they’re selecting the best bank to get a mortgage from. Bank of America features two government loan options, which are the FHA loan and the VA loan. Both are government-insured, and they’re designed with features that are ideal for first-time buyers. These government loan offerings are one of the many reasons Bank of America is one of the best banks for first-time home buyers. An FHA loan features a low down payment and no maximum income or earning limitations. Fixed-rate loans are also available. VA loans are for veterans, and they include up to 100% financing, fixed-rate loan options, and flexible qualification guidelines. Chase Mortgage is a part of Chase Bank, which is a leading financial services provider, working with almost half of the households in America. Chase is well-known for their credit card options, and other services include not just mortgages but general personal banking, auto financing, investment services, small business loans, and merchant services. Chase maintains 5,200 branches, 16,000 ATMs, and is part of JPMorgan Chase & Co., which has $2.4 trillion in assets and a global presence. In terms of mortgages, Chase offers products for buying a first home, refinancing, and also additional products, such as home equity lines of credit. Listed below are key reasons Chase Mortgage is part of this ranking of the best mortgage banks. Increasingly home buyers are saying they’re having difficulty coming up with large down payments to purchase a new home, but Chase recently introduced a product designed to help these consumers called the DreaMaker Mortgage. This is a 3% down mortgage lending program is one of the reasons Chase is ranked as one of the best banks for first-time home buyers. Borrowers are required to meet certain income limits, and if they do, they may be eligible to receive flexible funding options for closing costs, reduced requirements for mortgage insurance, and lower monthly payments. As well as being one of the banks with the best mortgage rates, Chase is also beneficial to borrowers because they make repaying loans as convenient and easy as possible for borrowers. One option is an automatic mortgage payment program, where payments are automatically made each month directly from a checking or savings account. This lets loan holders make sure their payments are never missed and are always on time. They can also cancel or change scheduled payments online with three days’ notice, and if the monthly payment amount changes for whatever reason, it’s automatically adjusted. Another option is using Chase Bill Pay, which is available through the Chase online banking portal. If you’re on-the-go, you can also make fast payments from the Chase mobile app. Chase participates in the Home Affordable Refinance Program (HARP), which is designed to make it easier to refinance a home. HARP is a federal government program, providing the opportunity for owners to refinance with less paperwork. Even for a home that’s lost some value, using the HARP program to refinance can lower payments, or can help homeowners move to a more stable loan. 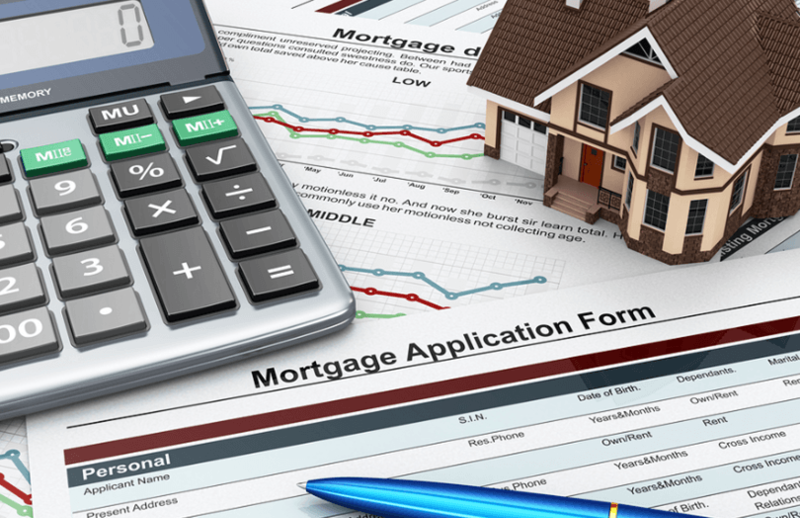 If you currently have an adjustable-rate mortgage, it can be shifted to a fixed-rate loan through HARP. Requirements for eligibility include showing an acceptable payment history on the loan you currently have, and not having already refinanced through HARP. Chase is not just one of the banks with the best mortgage rates, and a best bank to refinance with, but is also an excellent hub for information and resources for borrowers. It’s important to be armed with information when you’re borrowing to buy or refinance a home, and this is something Chase Mortgage puts a lot of focus on. They offer a broad range of mortgage calculators and resources, such as an affordability calculator and a home value estimator. They also maintain a YouTube channel with valuable video-based information from experts in the home industry. Chase strives to be transparent in their offerings and interest rates as well, so they feature regularly updated interest rate charts and tools to compare loan terms so consumers can find the product that best matches their needs. CitiMortgage is part of CitiGroup, which is a global bank with around 200 million customer accounts and a business presence in over 160 countries. Citi works not only with individual consumers, but also corporations, governments, and institutions to deliver everything from banking and credit products, to investment services, and of course, mortgages. In the first quarter of 2017, Citi had a reported income of $4.1 billion, making it a stable and financially-sound institution. Available financing options from CitiMortgage include loans to buy a home, refinance, and to use your home equity. Below we highlight some of the factors of CitiMortgage that led to its inclusion on this list of the best mortgage banks. Often, when buyers first start their search for a new home, one of the biggest issues they face is that they aren’t sure what mortgage is right for them. The result when a borrower obtains a mortgage that isn’t an ideal fit for their needs is that they don’t maximize the potential benefits they could have had access to with another mortgage, and they may end up paying more. “Shopping” is an important aspect of looking for a mortgage. Citi knows this and offers tools like the Citi Mortgage Selector. This convenient and simple online tool lets consumers enter the pertinent information about their situation, from the type of property they want and the location, to their financial details. They’ll then receive a customized list of possible mortgage products from which they can select. They can then request a quote online. CitiMortgage is not just a pick for a best bank to get a mortgage from, but they’re also flexible in how they deal with current loan holders that are having trouble with their payments. Citi strives to offer a variety of options that are designed to offer the ability for borrowers to get back on track with their finances and their mortgage. Repayment Plan: With this option, part of the missed payments are added to the regularly scheduled payments every month. Home Affordable Modification Program: This option, also called HAMP, changes the terms of an existing mortgage, which can potentially lower monthly payments to 31% of pre-tax income. Deferment and Forbearance: This program lets the lender temporarily reduce monthly payments for a pre-determined period of time. Mortgage Extension: With this, the borrower can have their missed payments moved to the end of their total mortgage term. Home Affordable Unemployment Program: Also called UP, this program allows the lender to lower mortgage payments temporarily until the borrower’s personal situation improves, at the lender’s discretion. Opportunities Within Neighborhoods (OWN) is a Citi-exclusive program that provides options for lower down payments, flexibility in the credit criteria, and other features that low- and moderate-income borrowers could find valuable. This program may also be useful for borrowers who are purchasing a property in a low- or moderate-income area. Part of the OWN program is HomeRun, which is a signature mortgage for borrowers who earn less than 80% of the Area Median Income and are planning to buy a home in a certain area. Interest rates are generally competitive with conventional loans, and down payments may be as low as 3% of the home’s value. Credit guidelines are flexible, and this program includes access to homeownership education and counseling. In certain high-cost markets, these loans may be available at higher totals, including as much as $636,150, depending on the area. Citi isn’t just one of the best banks for first-time home buyers, thanks to programs like OWN, but they’re also one of the best banks to get a mortgage from if you’re a higher income buyer. One of the programs available to certain customers is Citigold, which is designed to reward customers for their relationship with the bank. As part of this, there are many benefits, such as bonus reward offers on certain credit cards and waived monthly service fees on checking accounts. Additionally, there are benefits for homebuyers. Members of this program receive tiered rate and closing cost benefits on mortgages, and if they’re getting a home equity line of credit from Citi, benefits include 0.25% off the interest rate, and a tiered rate or closing cost discount. Serving customer needs for more than 160 years, PNC delivers retail banking products and solutions to more than six million customers across 19 states, including both individuals and small businesses. PNC is known for not only its large number of branches and overall accessibility but also innovations such as the Virtual Wallet app. PNC is not just a top retail bank, but it is also one of the best mortgage banks, with borrowing options for everyone, whether they’re a first-time buyer, refinancing, or buying a second home. PNC currently has more than $264 billion in assets under management, and is one of the top mortgage originators and servicers in the country. Below we cite a few factors weighing into the decision to name PNC as one of this year’s top mortgage banks. While many of the names on this list of the best banks for a mortgage will have similar products, they’ll also have their own distinctive, exclusive loan options. At PNC, one of these is their Combination Loan. The Combination Loan lets borrowers buy a home with as little as 10.1% down while having lower monthly costs. The structure of this 80-10-10 Combination Loan includes a first Mortgage from PNC for 80% of the home’s value. It also includes a PNC Bank home equity line of credit for 9.9% of the value and a 10.1% cash down payment. This provides the opportunity to possibly lower monthly payments, take away private mortgage insurance, and make interest on both loans tax-deductible. Simplifying the process of obtaining a loan is a key consideration when choosing the best bank for a home loan. PNC achieves this goal through the availability of the Home Insight Tracker, which is an online tool to track and manage a home loan application, throughout the entire process. When applicants sign up for the Home Insight Tracker, they can manage their mortgage application from anywhere, view their current status, and see details of their loan so they can remain ahead of the situation. This online tool can be used to upload documents from anywhere, and real estate agents can use it to gain limited information about the status of their clients’ applications. Users receive real-time interviews when their application reaches a milestone, and applicants can exchange secure messages with their lending team. Obtaining a pre-approval can be an important part of the homebuying process. When you obtain a pre-approval, you will know how much you have to spend, which can save you a lot of time during your home search. You’ll also have an idea of what your monthly payment will be, and pre-approvals show that you’re a serious buyer, which is advantageous in the eyes of real estate agents and sellers. When you submit the necessary information for a pre-approval from PNC, you’ll typically receive approval in as little as 48 hours, and letters are good for anywhere from 60 to 90 days. Once you’ve submitted your financial information to a PNC loan officer, they can look at your documents and credit score, which is when they’ll determine the loan that’s right for you. PNC strives to offer some of the best bank mortgage rates, so their experienced loan officer team will work to make sure pre-approvals include the lowest possible rate for each consumer. Frequently named a best bank to refinance with, PNC offers a signature refinancing option called Rapid Refinance. The goal of this program is to provide customers with faster access to their home’s equity, along with lower costs. It’s an alternative to the fixed-rate mortgage refinance. The terms are shorter, meaning the loan is paid off faster and approved applicants receive their money in a lump sum, upfront. The Rapid Refinance Loan also requires no private mortgage insurance. U.S. Bank is part of U.S. Bancorp, serving customers through retail banking, small business services, and wholesale and commercial offerings. U.S. Bank has $446 billion in assets, and it operates more than 3,100 banking offices across 25 states, making it the fifth-largest commercial bank in the country. Along with general banking products and services such as savings and checking accounts, U.S. Bank is a full-service provider of investment, mortgage, trust, and payment products. In terms of being a best bank to get a home loan from, U.S. Bank offers conventional fixed-rate loans, as well as adjustable-rate options, FHA and VA loans, jumbo loans, and options for investment properties. When reviewing the top mortgage banks, below are primary reasons U.S. Bank is part of this ranking of the best banks to get a mortgage from. Not even all of the names on this list of the best banks to get a mortgage from offer construction loans, but U.S. Bank is unique because they do. U.S. Bank’s construction loans are an excellent way to finance the building of a custom home, although some current homeowners will instead use the equity in their home for financing. Regardless, U.S. Bank offers several options to help borrowers finance the construction of a new home. In addition to new construction loans, another unique product from U.S. Bank is geared toward purchasing investment properties. Investment property loans provide financing for residential rental properties with 1-4 units. U.S. Bank does offer fast and convenient pre-qualification options. 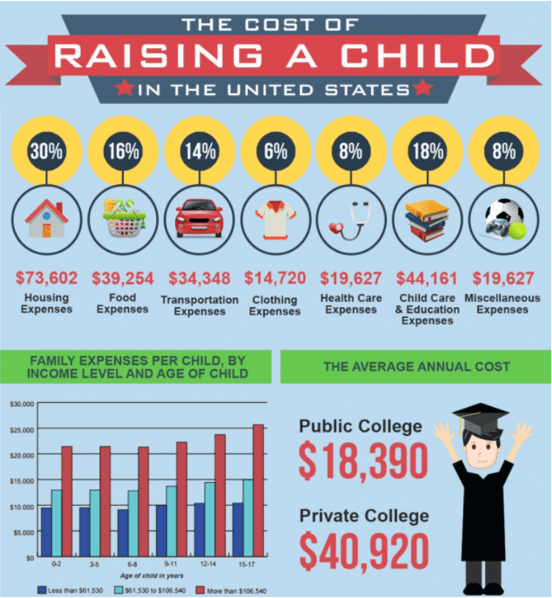 To begin the process, U.S. Bank highlights exactly what the applicant will need, which includes their estimated annual household income and estimated monthly household debt expenses. According to U.S. Bank, this online pre-qualification process is fast and free, and it can be done online in a matter of minutes. It also doesn’t affect the credit score of the potential borrower and can be an important component of negotiating the purchase of a home and in determining the loan that is right for you. As a top retail banking outlet, U.S. Bank features a number of deposit accounts, including checking accounts. They reward clients for their loyalty and for holding higher balances with them through the designation of account levels, which include Silver, Gold, and Platinum. There are a number of benefits that come with these accounts, including free services and waived monthly fees. In addition, if you’re a holder of one of these accounts, you may also be eligible for preferred rates on new loans, including mortgages. For example, Platinum account holders may qualify for a home loan origination discount of up to $1,000, and interest rates will be lower. Additionally, if you’re a Platinum account holder, you may be eligible to pay no annual fee on a Home Equity Line of Credit. U.S. Bank offers an array of options for homeowners and loan holders who may be facing difficulties or who are having trouble making their payments. Some are part of government programs, but there are also internal programs offered through U.S. Bank. One option is the creation of a repayment plan that would let the borrower pay their regular monthly payment as well as additional funds to make up for past-due amounts. Another option is the Hardship Loan Modification, which lets loan holders roll interest and escrow shortage from delinquent payments into an existing loan. Partial Claim options include funds that are advanced to a loan holder to make their mortgage current. Wells Fargo was founded in 1852, and since that time it has grown to become one of the world’s leading financial institutions. With diversified products and services, Wells Fargo has over 8,600 locations and $1.9 trillion in assets. It’s also frequently awarded and recognized by media outlets such as Fortune, who ranked it as one of the most admired companies in the world in 2016. Wells Fargo is also frequently considered one of the best banks for first-time home buyers, an overall best bank to get a mortgage from, and a best bank to refinance with, thanks to their competitive rates, service, and a variety of products. When considering what makes a best bank for home loans, below are some reasons Wells Fargo is included in this ranking. Wells Fargo puts a lot of focus on being one of the best banks for first-time home buyers, and they do this not just through their product offerings, but also through their comprehensive guides and services. When you’re about to buy your first home, Wells Fargo offers a large variety of home loan shopping tools that can help you make the right decision and walk you through the process in a simple, step-by-step way. Wells Fargo provides a variety of educational tools, like mortgage calculators, videos, FAQs, checklists, and a glossary to help first-time homebuyers make informed decisions throughout the lending process. Wells Fargo isn’t just one of the best banks for first-time home buyers because of their educational resources. They also have a signature loan product, called yourFirst Mortgage, that can be an excellent product not only for people purchasing their first home but also for those buyers who might not be able to afford a large down payment. YourFirst Mortgage can provide the opportunity to buy a home with as little as 3% down, and down payments and closing cost funding can come from gifts and assistance programs. The income and credit guidelines are flexible when compared to conventional loans, and with homebuyer education participation, a borrower may qualify for an interest rate reduction. Another signature option from Wells Fargo, a selection for one of the best mortgage banks, is their Purchase & Renovate Loan. This loan is designed to let borrowers have just one loan to both purchase a home and make renovations or repairs. Options include conventional or FHA 203(k) loans, and they can be used to buy single-family, one-to-four unit, planned unit development, and condominium properties. This loan allows the borrower to finance their renovation costs, and the amount is based on the home value after improvements. Costs are spread throughout the loan term, so monthly payments may be lower than they would be with other options, and it speeds up making improvements because they can be started right after closing on a property. This loan also includes expanded buying options, and interest may be tax-deductible. Wells Fargo is often named a best bank to get a mortgage from because they offer some of the best bank mortgage rates, but they also have one of the most extensive selections of products and specialized programs to choose from. It doesn’t matter if you’re embarking on the journey of buying your first home or you’re looking for financing to purchase a vacation or investment property. The most important thing, regardless of where you are as a homebuyer, is finding the best bank for a home loan. The best mortgage banks are the ones that tend to offer exclusive programs, feature diverse loan products, and have a strong reputation for customer service. It’s also important to choose a bank based on your specific needs. For example, depending on what you’re looking for, you may need to research the best banks for first-time home buyers, or perhaps the best bank to refinance with. Maybe your top priority is finding the best bank mortgage rates. Whatever your personal requirements, the above names on this ranking of the best mortgage banks are diverse and well-suited to a range of needs.